Another gardening season officially is coming to an end. 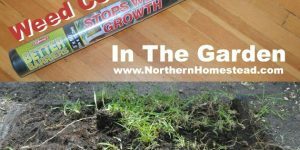 In this post we want to do a review on our annual garden, what worked well in this year’s garden, and what we will be looking into doing differently in the future. This year for the first time we grew all our onions from seeds, and are very happy with the results. We harvested lots of good size onions, both red (Greek Salad) and white (Candy) did very well. 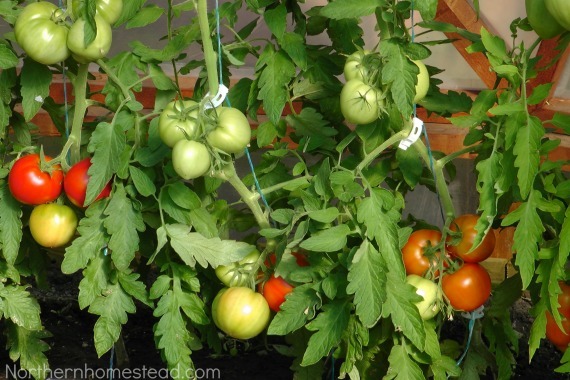 We started them in the greenhouse and transplanted them as seedlings into the garden. It seems that every year we grow a bit more garlic and it keeps growing better and better. We grew the Russian Red again, and this fall I also planted some Music. 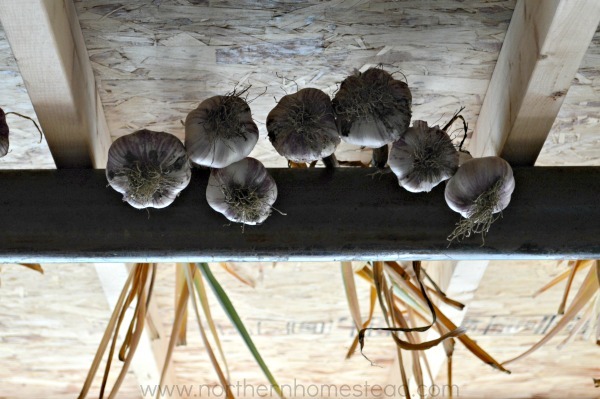 Both are hard neck garlic that are suited well for cold climates. 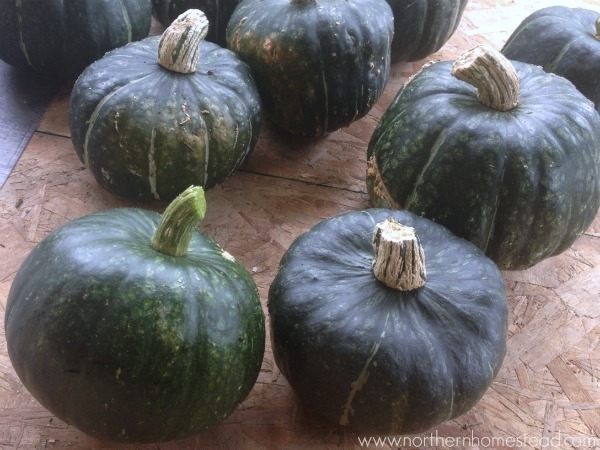 We had more squash this year than ever before. I think three things helped with the success. First, we planted more plants. I learned that you need at least 4 plants to get good pollination. Since we have so little space I always thought that we can’t grow many plants. However, since our season is short, it was okay to have more plants even in a small space, and the harvest was very rewarding. Now I have to try to do the same with melons and see if we get better results. Second, we used the micro climate in our yard to grow the heat loving squash. The buttercup squash did so well on the south side of the building, and the spaghetti squash loved the raised bed. Third, I started them indoors and did not rush with planting the seedlings out. Transplanting squash can be tricky, but by using a bit bigger pots for the seedling they all did well. The Dark Star Zucchini and the Costata Romanesco zucchini, both did very well again. 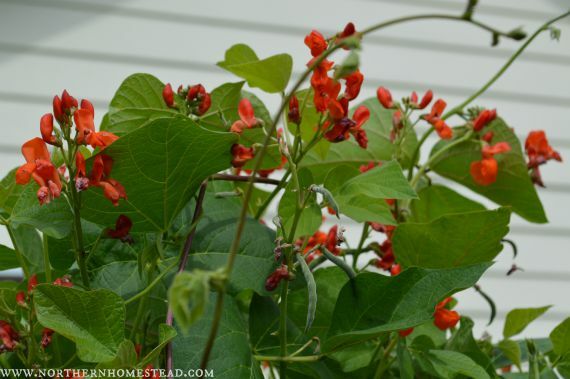 We grow Scarlet Runner beans for beauty, to attract hamming birds, and for food. 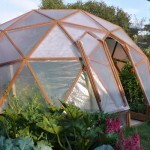 I think it is a must have in the garden. The pods are edible at any stage, and did I say that it is a beautiful plant? This year I actually planted less plants in the space we have for them, right next to the sitting area, and ended up having more beans. They just need higher trails to climb on. Our favourite Purple Peacock, a very beautiful, productive, and yummy bean variety, did not so well this year. It does need a sunny location. The Roma Yellow wax bush type bean did well again, however. We actually grew enough of the Tiger’s Eye Bean to try them. What a yummy variety! Tiger’s Eye beans have a creamy texture and the skins dissolve with cooking, a must have bean. 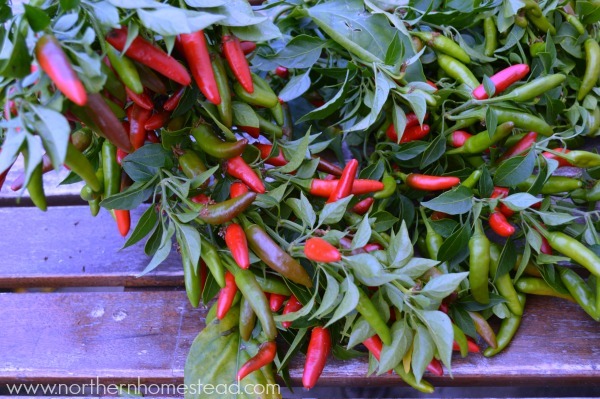 Peppers are a must grow in our garden. They are on the dirty dozen list and expensive to buy. We grew them again in the Tower Garden next to a south wall outside. It worked very well, we got lots of yummy peppers. Our favourite varieties are the Doe Hill, King of the North, and Early Jalapeño peppers. I also grew some Super Chili peppers and got more fruit than we could use. Next year I plan to dedicate two whole towers for growing peppers and to try some more varieties. 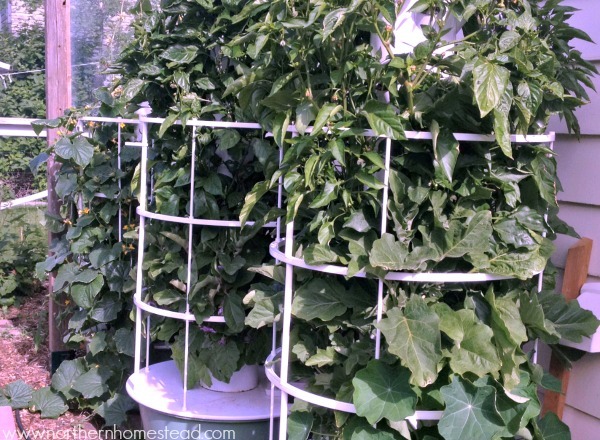 Peppers are the best crop for a summer Tower Garden. We harvested more tomatoes this year than ever before. Well, we grew a few more plants, too. But I really think it wasn’t because of the few more plants, but it just was a very good year for tomatoes. We did not get a late snow and cold period, and also this summer the nights were warmer than usual. We grew Latah and Native Sun again, as well as Manitoba, a variety I had not tried before. Manitoba turned out to be very early, productive with a tangy tomato taste, great for canning tomato based recipes. We grew potatoes in our raised lasagna beds for the very first time. I planted 1 potato into each square foot (Square Foot Garden way), we mulched heavily with wood chips, and they grew into huge plants. However, the harvest wasn’t all that amazing. If this would be the only way we could grow potatoes, I probably would not plant them as densely. Also the heavy compost from the lasagna garden resulted in some potato blight. These beds are better for other crops. The onions and squash next door were amazing. 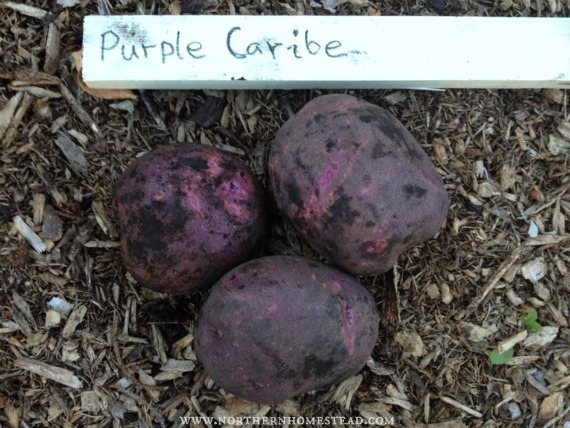 Potatoes do better for us grown the traditional way. This year we actually had lots of cucumbers. We had a whole Tower Garden just with cucumbers. It worked great. However, as cucumbers often do, the plants were done in few weeks and did not pick up again. 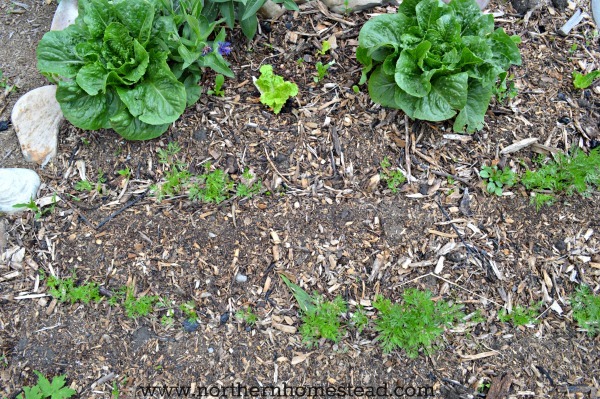 I should have planned better and have lettuce seedlings ready to replant the garden. Our summers are too short for two crops of cucumbers. It was an unusually wet summer, so as a result we had a slug problem. I mean not just one or two, but there were so many of them. Next year I need to grow lettuce on the Tower Garden during least at the second half of the summer. 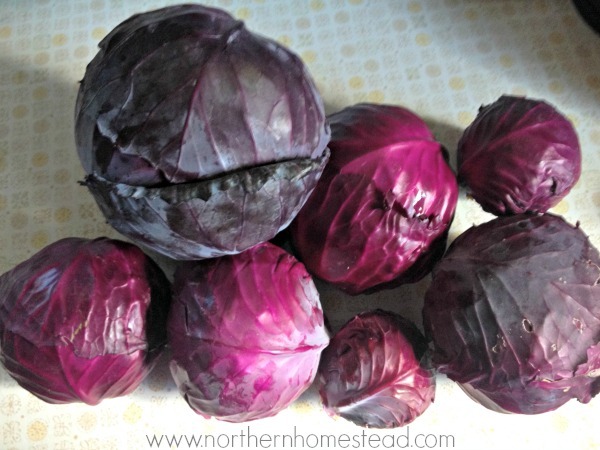 I grew, as usual, our favourite red cabbage. It did as usual, and maybe I wouldn’t even think about it. But I transplanted one plant, since it was in a bad location, to the community garden. This one plant grew better than any other in our home garden. Next year cabbage has to be sourced out to the community garden. I think the field environment and all the different plant varieties were just ideal for cabbage. The Aunt Molly’s Ground Cherry variety grew well for us again. However, they really need to be started early and given more protection. Too many were not ready at the end of the season. This year we grew the Blue Pod Capucijners. It is a beautiful and productive variety, but we really did not like the taste, I would describe it as dry, also when cooked the peas looked dull green. I’m not giving up on purple peas just yet though. I got some purple mist for next year, so let’s hope they will be better. 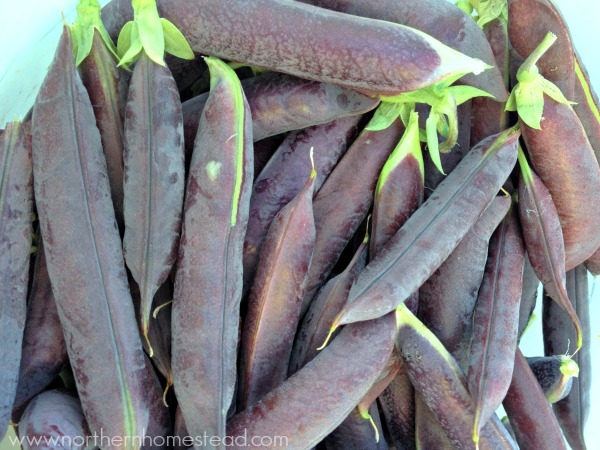 I just loved the beauty of purple peas. The Mr. Big peas were big, just as the name says it. The plants are actually rather small, but the pods and peas are big and very sweet. We love carrots. The early planted heirloom Scarlet Nantes did best. 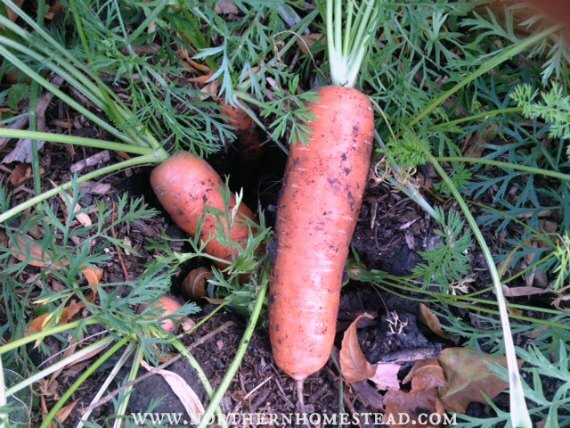 I planted some carrots way later, assuming that they would have plenty of time till late fall (most of them are still in the ground). However, in our short summer a late plant is really not a good idea. We grew eggplants on the Tower Garden. 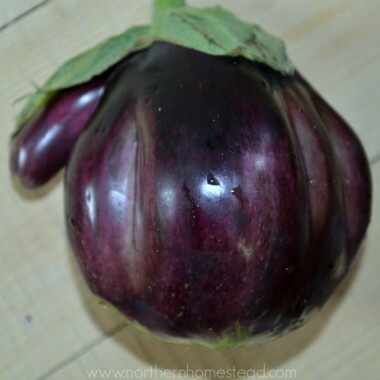 Even though it did work, and we harvested some eggplants (along with a funny looking one), the Tower Garden does not seem to be the best way to grow them. A good soil in a greenhouse would probably be better for these rather big plants. Looking back, the 2016 growing season was our best so far, or maybe I think that every year. We learned a lot that will continue to help us grow more food. 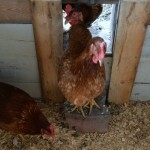 We were able to enjoy so much fresh garden food and preserve for the long winter. With a thankful heart we look forward to another growing season. Till then, we continue to grow our winter indoor garden. 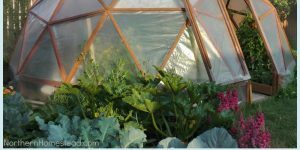 Read more at Winter Growing in Zone 3. 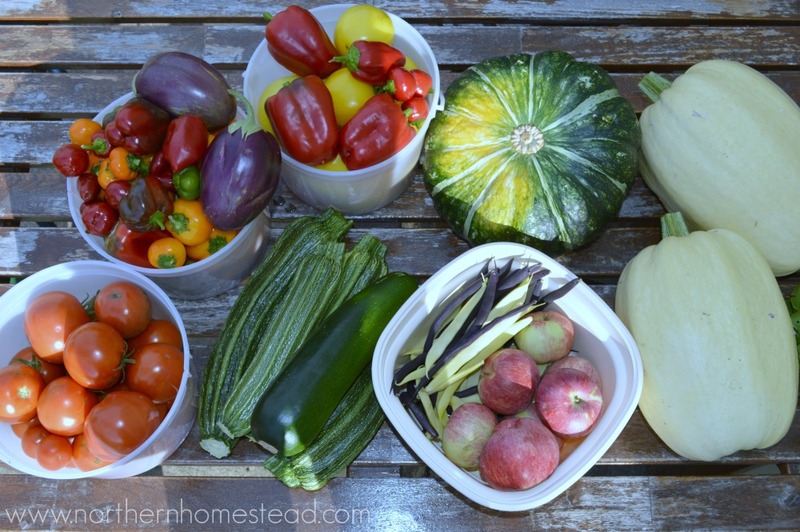 What did well in your garden? Take some time to write down end of season notes for your garden. It will help you to get better every year. 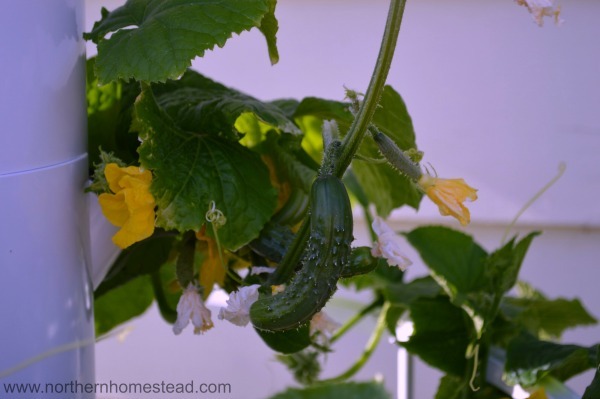 What type of Cucumbers did you plant ? 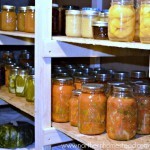 looking for a good pickling cuc in zone 3 ? Every item you have show looks great.. Happy Gardening. Thank you Steve. The Patio Snacker did best for us. It is a smaller plant as usual, good for container growing. I wish I had thought to document our garden this year. We’ve had a bizarre summer here. with few our our crops performing as they had in previous years.Our temperatures were really up and down so I’m hoping that is what has caused the poor performance. There are better years and worse, I don’t even know what is normal here. By observing every situation you can get an idea how to deal with different weather. Just keep on growing and planting many different plants. Something always turns out right. As gardeners we always grow not just plants but also our experience and knowledge on how to grow plants. We too grow plants using grow lights in the winter. You need at least 12 hours of light. Gosh… what a great harvest! Mine was like 1/52nd of that! It’s so cool to have so much growing on your property and you sound really in tune with why things did what they did. I’m sure this is the result of years of hard work. 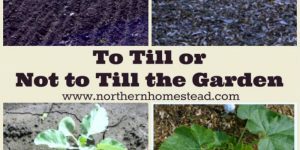 Keep gardenin’ on! Here’s to a good 2017 garden! Thank you Alyssa! 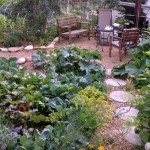 Yes, gardening is something that is learned through practice, trial and error. The main thing is to keep doing it. Found your blog via pinterest. Love it!! 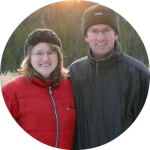 I showed my husband and he had pinned your blog as well. It was just what we were looking for. We are slowly turning our yard into a garden and want to document every step. Welcome! 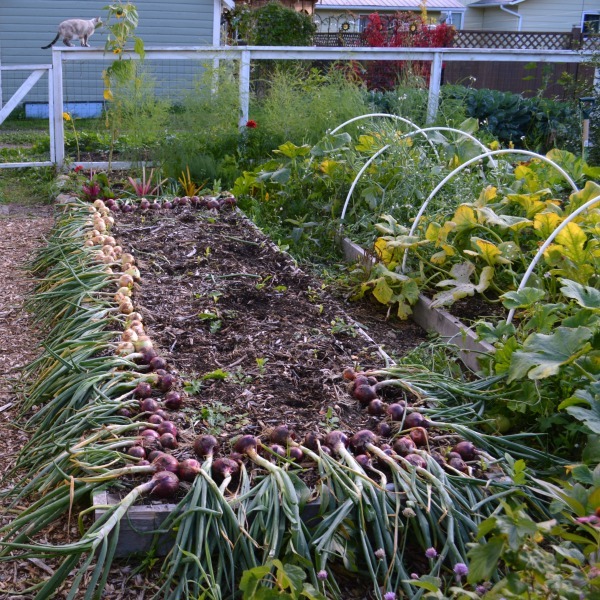 We love hearing from people who get inspired to grow food not lawn. Wishing you all the best in your process, it is rewording and fun. 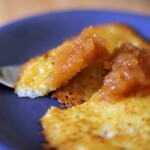 Hi Anna: Just came across your blog recently when I Googled Aunt Molly’s Ground Cherry. I’m very impressed with your bountiful gardens. I’m planning to grow Aunt Molly’s Ground Cherry and Runner Beans in my backyard garden in suburban Philadelphia (USDA Zone 6b/7a). What advice do you have for me? 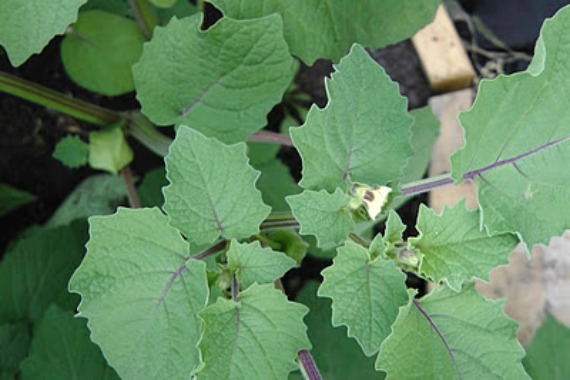 For the Ground Cherry, can i grow it in the way I grow tomatoes. I usually start from seeds for my tomatoes. I’ve been growing garlic for a few years. Some survived and some simply died after the winter. 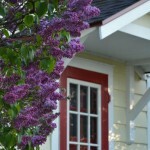 What varieties are good for my local area?